Sadayuki Murai was born in Nara, Japan. He is a screenwriter for TV dramas, live action, and animes, many of which combine sci-fi and fantasy. In his long career, Mr. Murai has worked on titles such as Cowboy Bebop, Ultraman Nexus, Ultra Q, Natsume Yuujin-Cho 3, 4, and 5, Garo: The Animation, Durarara! !, Perfect Blue, and Bubblegum Crisis: Tokyo 2040. 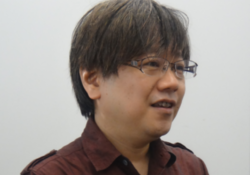 He has worked with Masao Maruyama, founder of MAPPA, for many years.